Loving man is waiting for his girlfriend in restaurant, she is coming closing his eyes with her hands, hugging and kissing him. Love, relationship and dating concept. 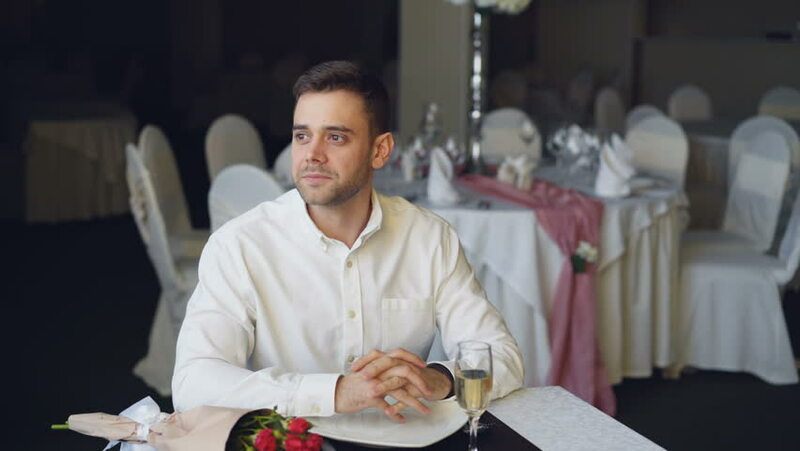 4k00:28Loving boyfriend is waiting for his girl in restaurant, using smartphone, opening jewelry box and looking at ring. Bouquet of roses and glass of champagne are visible.